Although still a treat, this healthy chocolate chip cookie recipe is one you can feel good about! 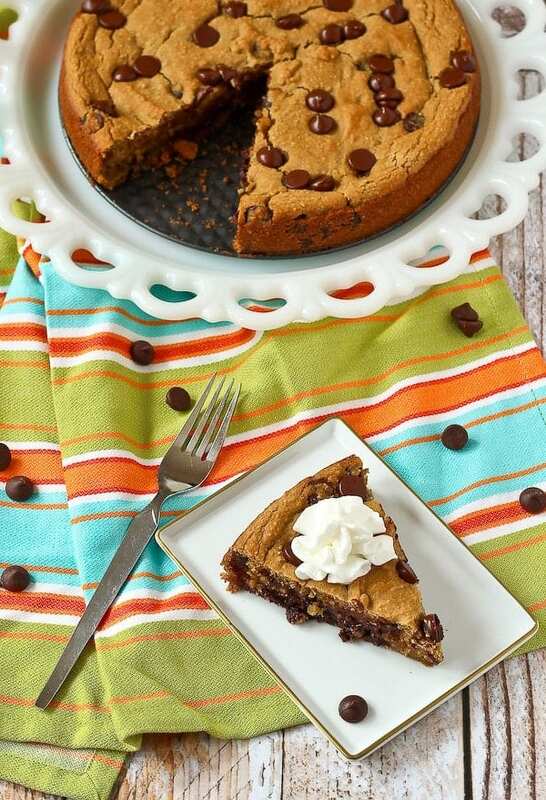 Bonus: Made in minutes in a blender AND DEEP DISH – so gooey and delicious! I gotta admit, I’m pretty excited to write this post. I’ve made this healthy chocolate chip cookie recipe from Chocolate Covered Katie a few times, and as I’ve done so, I’ve made a few tweaks and changes to get it just the way we like it. I figured it was time to share the love. This is too good not to share. 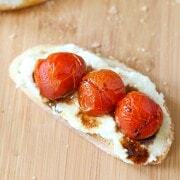 My husband is obsessed with this recipe. Literally obsessed. I can’t even tell you how quickly this thing disappears when I make it. 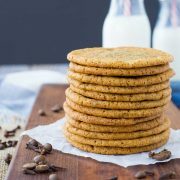 My kids adore it too, and I love the fact that my picky, protein-hating son is getting a sneaky source of protein in this healthy chocolate chip cookie recipe. That’s right – beans. Magically, versatile, white beans. 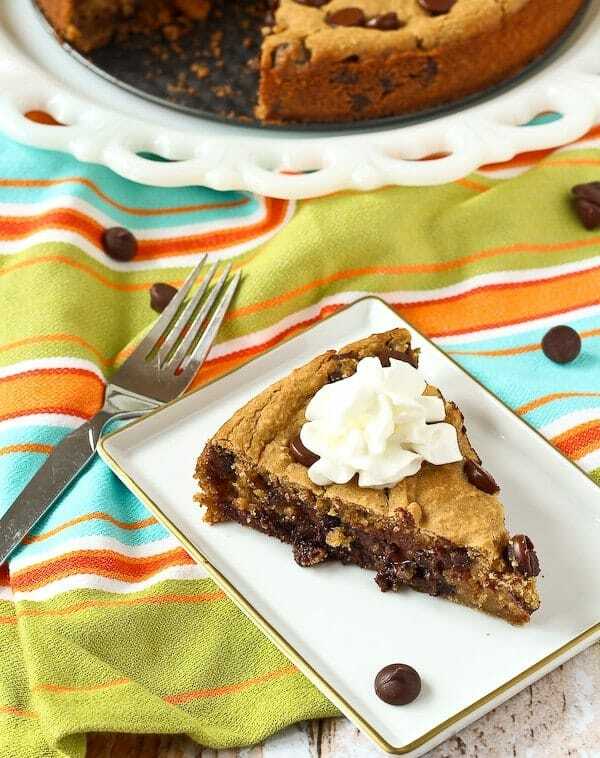 This isn’t my first time baking with beans – I’ve used black beans to make fudgy, decadent black bean brownies and this deep dish cookie is just as fabulous. If you’re getting ready to click away from my site, please don’t! You have to give these a try. You are not going to be disappointed. 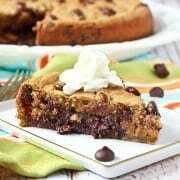 You can’t taste the beans and they give this healthy chocolate chip cookie recipe such a great texture. You’re going to loveeeeee them. I feel like I keep saying that, but it’s true. 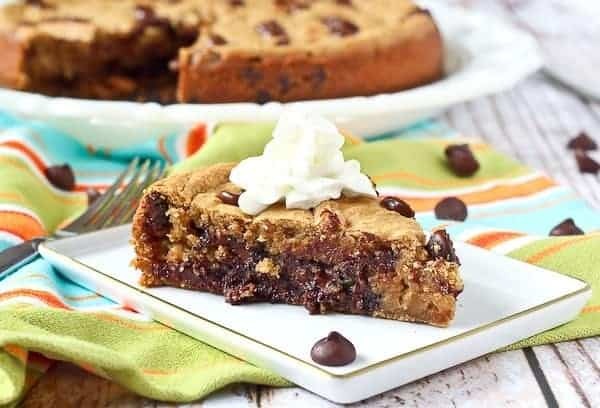 I’m sure I’ll get some pushback about the word “healthy.” I know there are many interpretations of it, but if you were to compare this recipe to a traditional deep dish chocolate cookie, I’m sure we’d be winning over here with the beans. Of course, it is still a dessert but the good news is that making small changes can really add up over time. This healthy chocolate chip cookie recipe will satisfy your sweet tooth in the best possible way. If you’re loving this – you might also love my healthy breakfast cookies. I have three varieties – gingerbread breakfast cookies, apple crisp breakfast cookies, and chocolate banana breakfast cookies. If you made me choose a favorite, I wouldn’t be able to. Okay, maybe it would be the chocolate banana variety…you can’t go wrong with that classic combination. Preheat oven to 350 degrees Fahrenheit and spray a 10-inch springform pan with nonstick cooking spray. Add all ingredients except chocolate chips to a food processor and blend until smooth, scraping down sides as needed. Fold in chocolate chips with a spatula or spoon. Pour into prepared pan (sprinkle with more chocolate chips if you want!). Bake for 35-40 minutes or until set. Don’t overbake. Let cool for 10 minutes before removing from pan and slicing. Verdict: Loooove these. They’re rich, fudgy, and satisfying. Everything you’d want a cookie to be. Grab a glass of milk or a cup of coffee! Husband’s take: He couldn’t stop talking about this healthy chocolate chip cookie recipe. Changes I would make: Nada but I am definitely going to play with this recipe more to bring new variations. Difficulty: So easy – you literally blend everything together in a blender and you’re done. No messing with wet and dry ingredients. It’s a dream come true. Actual nutrition may vary depending on how recipe is prepared. 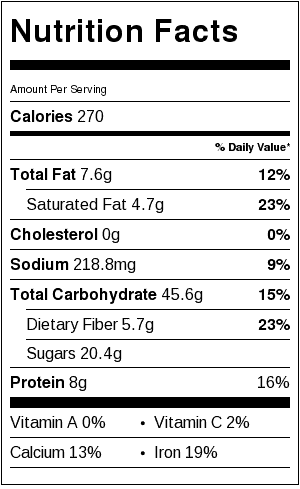 Nutritional information does not include toppings or additional chocolate chips. I just made this recipe, and it tastes very much like toll house chocolate chip cookies. The texture is what will make me hesitant to make this recipe again. I baked it for 38 minutes to not over bake as directed, and the texture is quite gooey, much like raw cookie dough. However, since there are no eggs or dairy in the recipe, we will eat it. I don’t know that baking it longer would change the texture. So glad you liked this recipe! 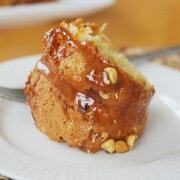 It does have an ooey-gooey texture (which we love!). I agree with your speculations, I don’t think baking it longer will significantly change the texture.